The Leica SL (if you like it, don’t read this). ↑Image courtesy of Leica USA. “Ouch. This might actually kill the company. Now granted, I was quick to judge and very harsh, and even felt a little guilty afterward for writing it. The truth is, I actually want Leica to do well because they are one of the few independent-thinking camera companies out there. And, I adore my Leica M lenses and my M9 so sometimes I let my passion get the better of me. Since then, I’ve seen the images from this camera and the output is generally excellent. Part of my original head-scratching about the SL was Leica‘s desire to penetrate the “pro” market. Unfortunately, they weren’t talking about the pro medium format market. Instead, the “pros” they were aiming this at were the 35mm DSLR or Sony a7 users who would’ve had to justify spending big bucks for the SL and its lenses. The SL would’ve had to leap-frog every other 35mm camera with its capabilities for that strategy to have succeeded. It’s nearly a year later, and the SL hasn’t been selling well (I don’t get any particular pleasure from writing that). But as I wrote above, I’ve been quietly looking at the output of this thing and it is impressive. So today I tried photographing with one. The size was no problem, as I’ve shot with Nikon bodies extensively and the SL is smaller (than the “pro” Nikons). The build quality, LCD, quiet shutter, etc. are all wonderful. The deal-breaker? Surprisingly, the much hyped-about EVF. Today I found that as I placed the camera up to eye level there was an initial darkened view that, a split second later, gave way to a grainy representation of the (interior) world. Yes, it’s a high-resolution EVF but it still looks like I’m viewing the world through an iPad. I was prepared for that… I mean, I had shot with the Sony mirrorless offerings previously, so I knew what I was getting into but I had hoped that the EVF on the SL would’ve made me overlook this. It didn’t. More annoying than this though was that initial black-out delay that was still there. It’s enough to wreck a photographer’s rhythm. It potentially is enough to prevent one from getting the proverbial decisive moment. Worse than that, after I put the camera down momentarily and then placed the EVF back to eye level to photograph something else, the momentary blacked-out frame gave way to the previous scene before the camera caught up and showed me the new scene! It had literally experienced déjà vu. I now understand why most of the posted photographs from the SL are of “still life” subject matter. I also understand that I could never depend on it for my style of photography. Hi Peter: I’m never surprised by any comments swirling around the SL, admittedly a very controversial camera. I sold my M240 to get the SL; shoot exclusively with my M lenses, and 1, APO 180 R. I shoot architecture, industrial, product, people, headshots, tethered or not tethered, and weddings. My wedding shooting with the SL now comprises about 75% of my total count for the day, the other 25% being my Canon body with attached zoom. Love the SL and how it functions. the EVF can be a bit of a pain, but my workaround has mitigated that pain and overall, the benefits outweigh the OVF IMO. Starting to shoot video with it as well, which is a work-in-progress. I agree that the image quality is stellar, wide open and especially stopped down (for my product & architectural work), and more malleable than my Canon bodies. Will I ever get another SL-type Leica body? Who knows. Would I ever go back to a rangefinder to shoot with my M lenses. Probably not. Will the SL kill off Leica as a company? I hope not! Chris, thanks for that. I really wanted to like the SL today. I know I haven’t given it a full chance, even having tried it, but that EVF really bothers me. I sincerely hope that Leica sells more of them. The technology will only improve. Hi Peter. Initially, I thought the interface (say EVF) was a pain in the you know what. Maybe I’ve just gotten used to it, but when I look into the EVF, I don’t see grainy, unless I’m in a very very dark room and have the EVF cranked up which makes the image look like a 3200asa tri-x image! Before I bring the camera up to my eye, I lightly tap the shutter, and I don’t get any initial black frame. And I remember having to do that with the M, to wake it up from sleep. Given it’s huge buffer, speed, and focusing accuracy peering thru the EVF, I find my decisive moment shooting to be much quicker than my M. That said, all of my enjoyment with the SL took me about 3 months of frustration to massage out the quirks. I was looking at the EVF indoors, so it was a bit of a torture test since, living in Canada, it gets dark here for 6 months of the year! Independent-thinking means thinking flaws are not from another galaxy… they took the path absolutely late and from your comment in the wrong way. I’ve used one for about an hour of shooting. Nice camera and can see the appeal. However if using the native SL lenses it just becomes too big to me. Eventually I’d slowing stop taking it with me anywhere. I know with M lenses this is different but then we are back to a different style of shooting with manual focus lenses. It’s this style of using lenses (EVF vs rangefinder) that in time I’d find myself in no mans land. It’s designed to be used with AF lenses ideally and unfortunately just too big. Many people claim that the EVF on the SL is so good that manual focusing with it is actually easier vs. the M. I didn’t use the SL enough today to form an opinion on that. However, in the past I’ve found than no other form of focusing competes with a rangefinder for simplicity and accuracy in the 35 – 75mm range. Yep….on the same page. It’s not so much the output but the process. The fact the image is always in focus in the viewfinder (even though we know it’s not in the final image until the RF aligns) I find helps with making images. I have a constant clear view of a potential image or scene (particularly in street photography). Even though DSLRs also have an OVF I find this ok if use AF. If manual focus I’m not that drawn to it. It’s why I sold my Olympus OM4. I didn’t enjoy it over the RF system. So coming back to the SL it can have the best EVF in the world. It’s just not my preferred style of focusing. AF though is fine. Fuji have tried to change this with their hybrid VF and different options. Hope all is well! I look forward every morning to see what pictures you posted for us to see. As you probably know, I owned the SL for about 6 months. At first I was really excited but as time went, I found I used it less and less. Mostly, because I really enjoy medium format but also because of the lens selection and I felt the image quality was not even close to sony a7rii. I also felt that leica m lenses on the SL were not as good as using the native lens for the camera. As Andy said, the native lenses are huge and if I’m going to use something that large, I might as well use my Phase One. With that said, I’m surprised you had issues with the EVF. I suppose since I was already accustom to using sony a7rii and it’s EVF that it didn’t bother me. Actually, I loved it. I felt the resolution and refresh rate was spectacular. I really enjoyed using it at night because I could see things that you couldn’t see with OVF. I never had the issues you mentioned in your post. 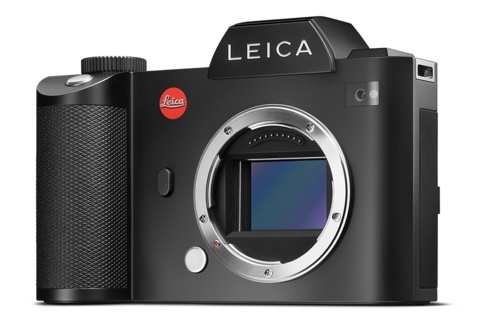 Bigger question now is if Leica can continue to sell the SL at that price when Hasselblad and Fuji have medium format systems at that price point. With no question, Leica SL can not come close to matching a medium format sensor. If anyone believes to the contrary, they need to quit looking at comparisons on the internet and look at them in person. Hasselblad X1D in my opinion might be one of the sexiest looking cameras ever made, I just wish they would have used the same EVF that Leica has in the SL. I’ll be interested to trial one when they finally reach the market. Personally, I think sony a7rii’s 42mp sensor is the best 35mm sensor on the market. My only complaint is that the camera is not fun to shoot. It reminds me of a toy camera. It also has the worst battery life of any device I own. I’ve been patiently waiting for them to come out with a pro level camera that fixes these issues. Hopefully soon! In the past, the price point for Leica wasn’t as much of an issue because they were offering a unique proposition: a rangefinder camera. But you’re right, a 35mm mirrorless camera priced in the same ballpark as a medium format mirrorless camera spells trouble for Leica. Thanks Gage for the thoughtful post and the kind words. As for my opinion, I fully agree with Peter! LOL, I agree with you.